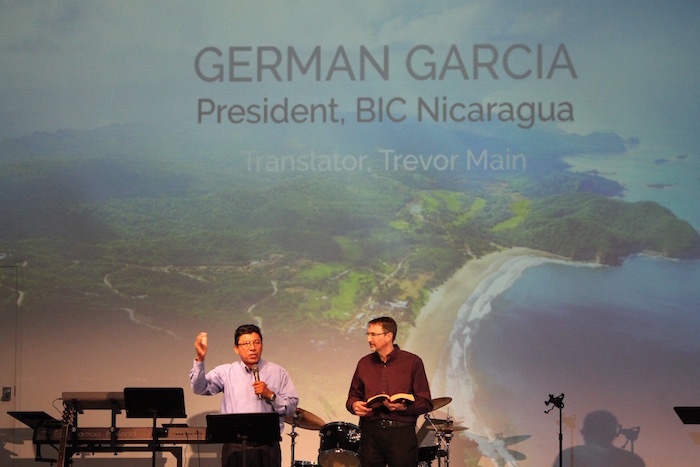 We had the privilege of having a very special guest speaker this past Sunday, German Garcia, President of the Nicaraguan BIC Church. 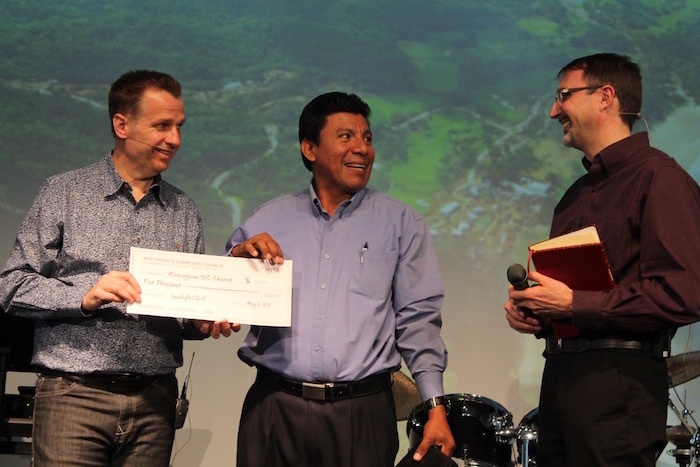 He and his wife, Nora, are church planters in Nicaragua. 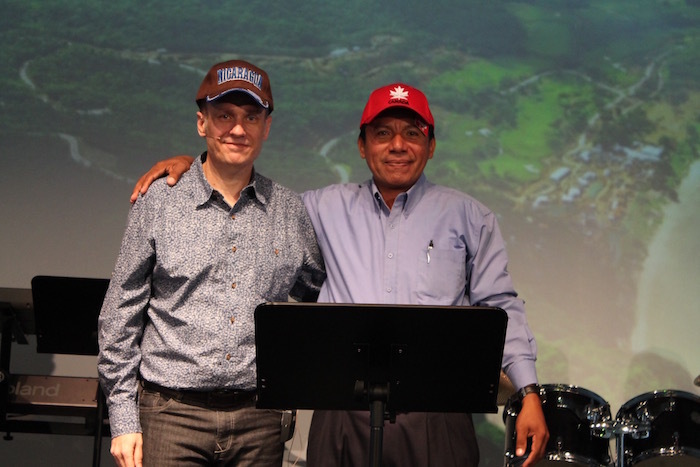 A number of years ago we started a strategic initiative at Westheights called “living glocally,” a challenge for us to reach out to our local neighbourhood but also to reach out to the global church. 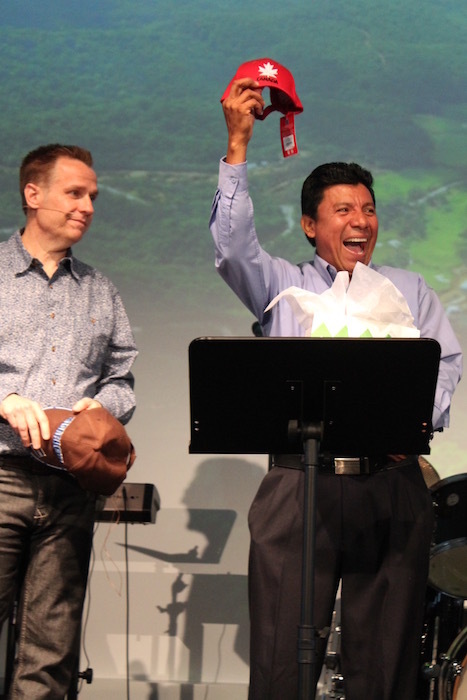 We chose the country of Nicaragua as our global church. We have sent several short-term teams to Nicaragua who made wonderful friends while helping out with local children’s programs and building churches and a training centre. With the help of Trevor Main as translator, President Garcia delivered an encouraging message about persistence in God’s work in our lives. 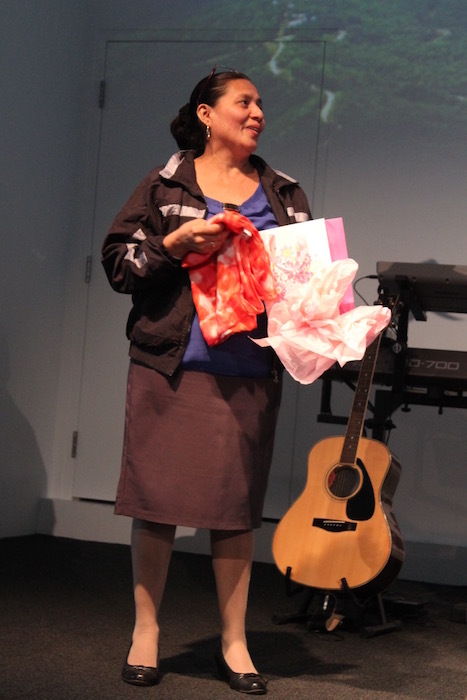 After the message, we presented a gift to German and Nora Garcia, and to their work in Nicaragua.